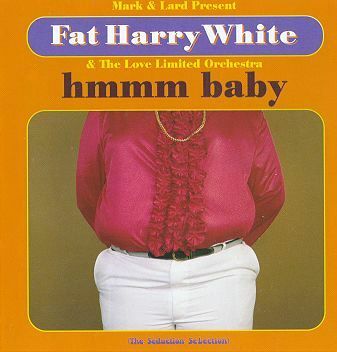 "Mmm Baby - The Seduction Selection" the album by Fat Harry White and his Love Limited Orchestra consists of a load of Fat Harry White's usual innuendo filled ramblings. It got to number 83 in the album chart and has sold over 18,000 copies to date. It is a budget album so you should be able to get it quite cheaply (I got my copy for £7.50). It's out on "Anxious Records" (a sub-label of Warner Music UK), the record number is 3984-25820-2. 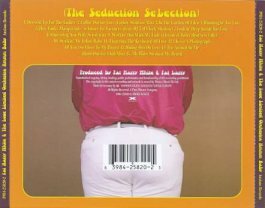 You can buy Mmm Baby - The Seduction Selection from Amazon. If you do then maybe one day I will get a few pounds out of Amazon! 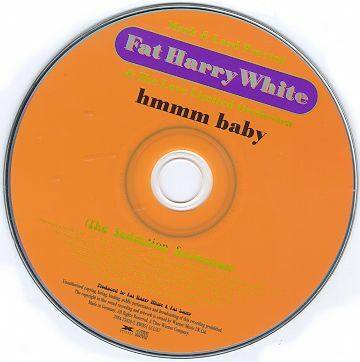 The cover of Fat Harry White's "Hmmm Baby The Seduction Selection"..
Pictures from the inside cover of the album.